Tulip TimeOut opened up in GongGuan around a month ago. Behind GongGuan station over near the cinema, this Danish hotdog restaurant is blowing up in the area right now. So the higher the number (from number 1 – number 8) of the hot dog, the bigger the hot dog. Look at that number 8! Manager Marcus was working today, cooking up the dogs and preparing them. Marcus started up Tulip TimeOut last month and plans on opening up another couple of branches by the end of the year. Exciting! There are big plans for TimeOut, and there’s a definite buzz in the air around the place. How lip-smackingly good does that look? Pickles, crispy fried onions, jalapenos and peppers all decorate this glorious cheese dog. Biting into it, the cheese starts to ooze out. Expect salty hot dog decadence in each mouthful. 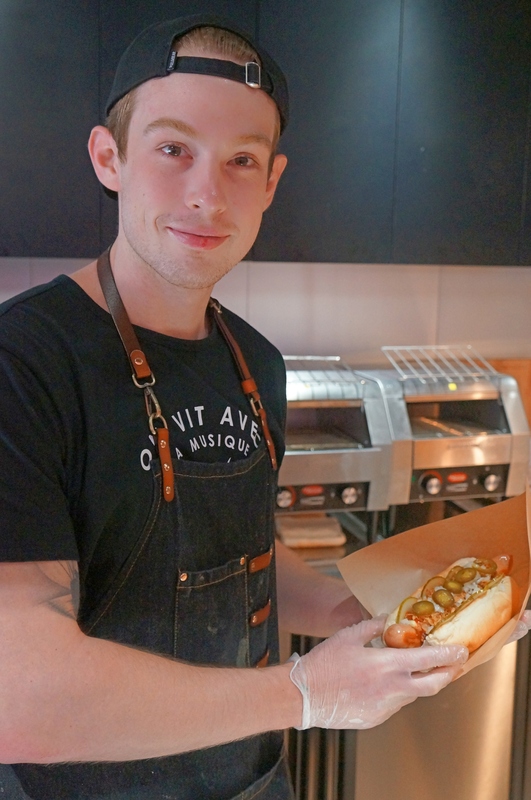 Fresh flavours, and delicious dogs – win.